Volcano Calbuco in southern Chile erupted for the first time in more than five decades on Wednesday, sending a thick plume of ash and smoke several kilometers into the sky. Chile's Onemi emergency office declared a red alert following the sudden eruption at around 1800 local time (2100 GMT), which occurred about 1,000 km (625 miles) south of the capital Santiago near the tourist town of Puerto Varas. About 1,500 people were being moved out of the area and an evacuation radius of 20 kilometers has been established, authorities said. Trevor Moffat, who lives in Ensenada, some 10 kilometers from the volcano, said the eruption happened without warning. Volcano Calbuco's last major eruption happened in 1961. "It sounded like a big tractor trailer passing by the road, rattling and shaking, guttural rumbling ... we left everything there, grabbed my kid, my dog, got in the car with my wife," said Moffat. "All the neighbors were outside, a lot of young people crying. 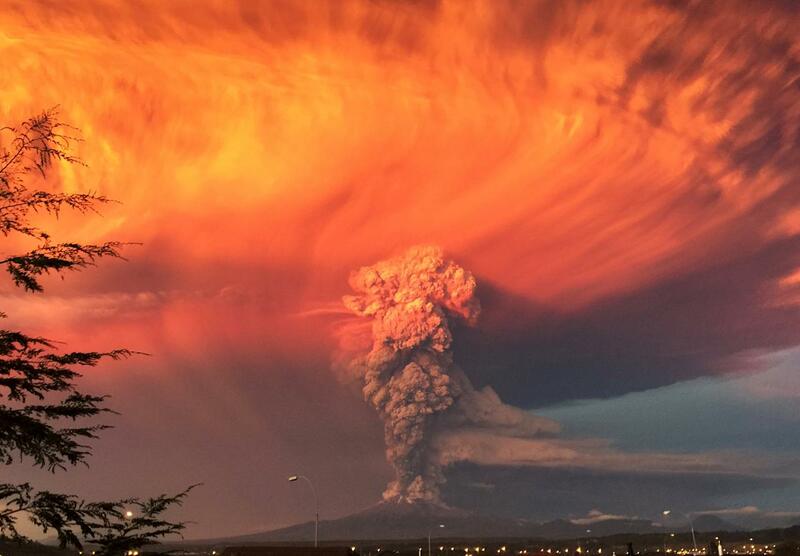 Armageddon type reaction," said Canada-born Moffat, who was driving to nearby Puerto Varas. Television pictures showed a spectacular mushroom-shaped column billowing into the sky with occasional lighting bolts shooting through. 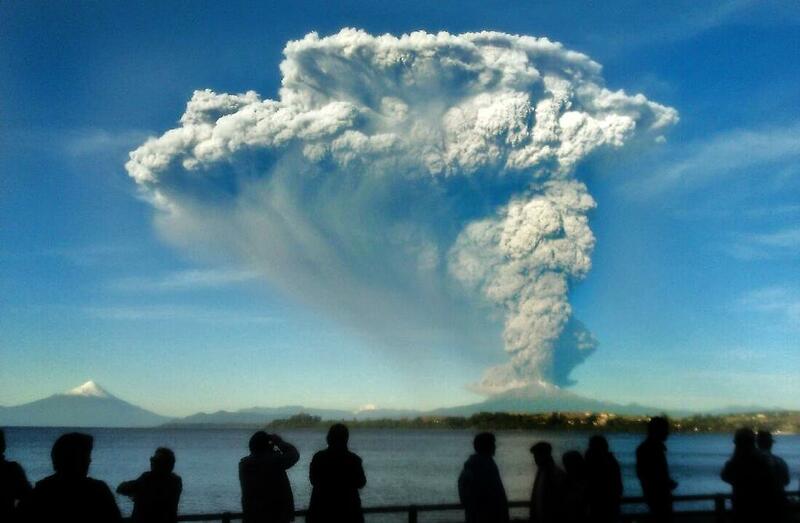 The eruption was seen in other towns at least 50 kilometers away. "There are a lot of people out in the streets, many heading to the gas stations to fill up on gas," Derek Way, a resident of Puerto Varas, told Reuters. "A friend told me to fill everything we have with water," said Way. Chile, on the Pacific 'Rim of Fire', has the second largest chain of volcanoes in the world after Indonesia, including around 500 that are potentially active.